Uzbekistan’s Jews are not worried for their future after the death of the country’s longtime president Islam Karimov, the country’s chief rabbi said. The Uzbek strongman, who ruled his Central Asian Muslim nation with an iron fist until he died last week at the age of 78, “prepared the country well and its security forces are drilled in a case where he would no longer be around to rule,” Rabbi Baruch Abramzaiov told JTA Sunday, a day after Karimov’s funeral in the city of Samarkand. The government has not named a successor. “The president had excellent relations with the Jewish community, in part because he went to school with many of its members and had many friends from its ranks, and this situation is expected to continue,” said Abramzaiov, a 45-year-old father of six who is based in Tashkent. He said he is the only rabbi and one of very few spiritual leaders catering to the needs of a dwindling community of 13,000 Jews in a country that had 95,000 Jews in 1989. 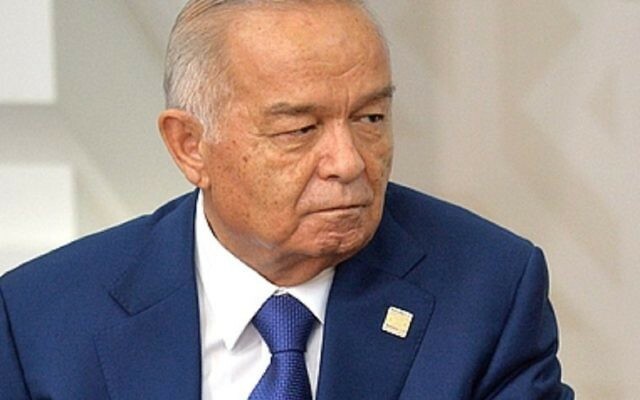 Under Karimov, there was “lack of space for free, independent media and the real threats to journalists who undertake this essential work,” as well as endemic corruption so bad that it impeded foreign investments, the U.S. Department of State said in a 2015 report. The United Nations accused Karimov’s regime of “systemic torture” of dissidents. But Karimov, whose country of 30 million people borders Afghanistan, said some of his controversial limitations on free speech were to keep out radical Islam. He also opposed perceived attempts to curb his country’s sovereignty by its powerful northern neighbor, Russia. “There are potential threats in the Islamic State and other radicals but Jews, as well as other minorities, receive government protection and will continue to get it,” Abramzaiov said. Abramzaiov’s said his 8,000-member community in Tashkent has assimilated and largely does not observe Shabbat. “This is hard to change with only one rabbi,” he added. According to the Euro-Asian Jewish Congress, approximately 3,000 of Uzbekistan’s Jews are Bukharians – an ancient Jewish community of merchants that was first documented in the 12th century in what is now Uzbekistan. The area was an important stop along the Silk Road. Some historians believe Jews lived in Uzbekistan as early as the 4th century. Others still believe they have lived there for 3,000 years. A devout and hardy group, Bukharian Jews have large communities in Israel, New York and Vienna. They also have distinct customs, like costumes worn on Purim and Passover, as well as special foods including Hamantash-like dumplings filled with fried onions and pumpkin.